Two rappers, Iggy Azaela and Azealia Banks may have confusingly similar names but that is where the similarity ends. And there seems to be no love lost either. Yesterday, Azealia Banks called out Iggy for exploiting black culture in the wake of offline and online protests following a grand jury's decision not to indict a white NYPD officer who caused the death of an unarmed black man. Azealia took to twitter to vent her frustration and eventually turned her attention to Iggy and blasted her for trying to be black, having a black boyfriend but not standing up for black issues like the Ferguson or the Eric Garner protests. 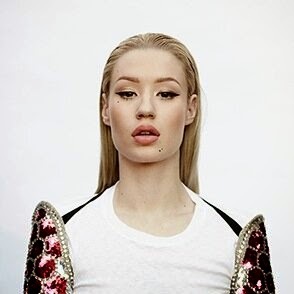 She did not name Iggy Azalea but referenced her with the phrase Igloo Australia. 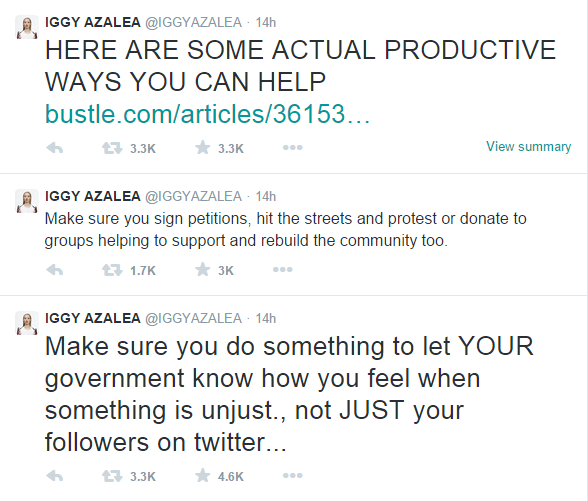 But Iggy did not take it quietly but pushed back in her own tweets, which I think are definitely more logical, but that could be part of the problem. Most black people are more emotional about the racist double standards and profiling that more often leads to the deaths of black men at the hands of trigger-happy policemen, or their arrest and long-term incarceration in prison. Azealia Banks said Iggy raps like a black girl, acts like she is black, sleeps with a black dude and yet she keeps quiet over black issues. She also dared T.I who discovered Iggy to defend his protege if he could. 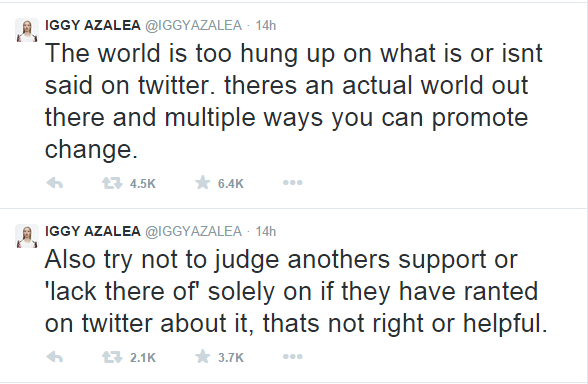 Iggy Azalea did not return the name-calling but goes on to call out Azealia Banks for simply trolling her on social media and not doing anything productive or constructive online or offline. She shared links on how she and others could help, and thanked her fans for their support.